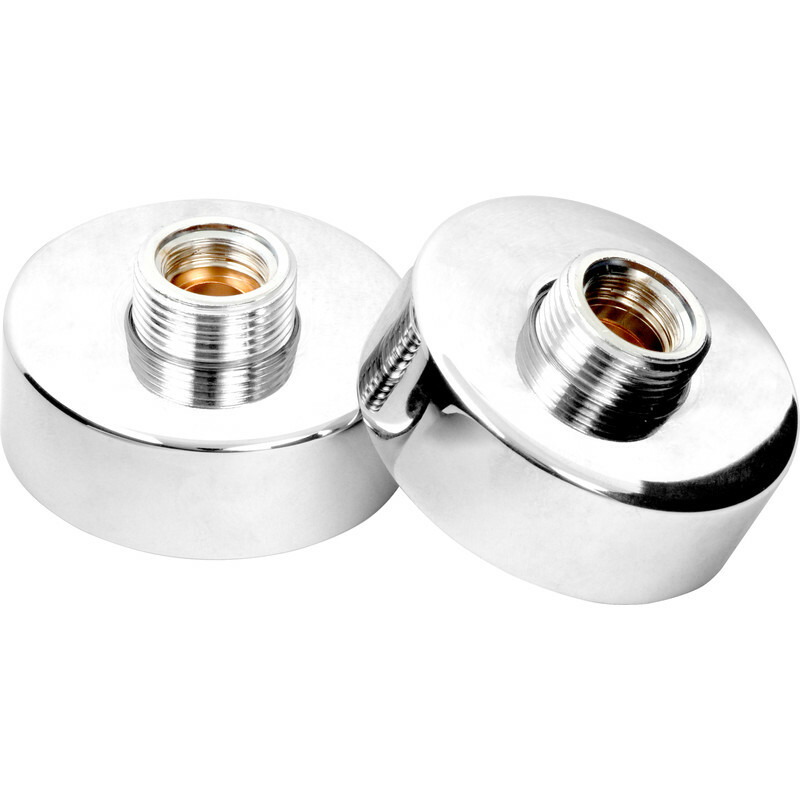 Heavy Pattern Shower Fixing Bracket (2 Pack) is rated 4.4 out of 5 by 7. Rated 5 out of 5 by wanabe diyer from Just the job Needed these for 2 new showers. Exactly right. Rated 4 out of 5 by Eric the Greek from should be included with showers Good solid mountings that are needed when fitting bar type showers, that's my bug....... You buy the shower and unless you use these or the long back plate, also great, the shower valve is unstable as it has no solid fixing to the wall , far too expensive in my opinion too. Rated 5 out of 5 by Makita from Excellent Used this on 3 thermostatic showers, works like a dream. No more Messing about just leave the pipe long as you like then once tiled just cut pipe To 3cm & fix fittings. Be careful when drilling tiles it is quite close to pipe cut outs ,so check first & you will be fine. Rated 5 out of 5 by adrianplumber from Gets you out of trouble I had to fit a shower that already had the tails protruding through the wall left by the previous plumber who'd walked off the job. the fittings which came with the shower would not work as they had to be fixed behind the wall and tiles, this product allowed me to fix straight to the the tiled wall, also it was easier to tell if there were any leaks as the fixings were on the outside of the wall. I will use these for all of my shower installations in the future. Rated 5 out of 5 by MrJohn from Perfect for the job. Made fitting a thermostat rail shower so simple and easy.